Best Foods For Vision Protection. Eye is the most sensitive organ of our body. So it needs more protection and attention. It is a fact that we learn 90 percent with our eyes in our life. Do not consider health of eyes for granted. You should learn how you can protect your vision up to age of ninety and more. Sound health of vision depends on the type of food you consume on daily basis. Nutrients which may help you to protect yourself from age related eye problems like macular[a very small area at the center of the retina]degeneration and cataracts, are omega-3 fatty acids, lutein, zinc, vitamin C and E. To take required amount of these Nutrients you should include following ingredients in your daily diet. Like spinach, lettuce and other vegetables you can eat as salad with your meal. Other than meat eggs, nuts and beans are the best food for eye health. Almonds, nuts and seeds should also be included in daily diet. The yolk is a main source of lutein and zeaxanthin—plus zinc which reduces the possibilities of macular degeneration risk. Citrus fruits and carrots are also helpful in maintaining healthy vision. These fruits are very important for vision protection. A type of vitamin A called Beta-carotene found in these fruits keep the function of retina and other parts of eye in proper condition. These fruits are a great source of vitamin which is also helpful to reduce the risk of macular degeneration and cataracts. This is a vaccinium herb which is found natively in North America and Europe. It is a rich source of antioxidant, helpful for the remedy of diabetes and improvement of vision. It protects blood vessels from damage due to blood sugar. Billbery is also useful to enhance night vision during evening maneuvers. It is important for healthy vision also. It forms a protective yellow pigment in the retina of eye. It lowers the risk of cataracts and macular degeneration. The low consumption of this ingredient can cause age related eye problems. It is found in spinach, tomatoes, and carrots. It is also available in form of supplement. 7:Vitamin B complex (including vitamins B1, B2, B3, B5, B6, B12 folic acid, biotin and chorine). These types of vitamin reduce chronic inflammation and prevent elevated homocysteine levels in the blood, which have been associated with vascular problems affecting the retina. It also helps to reduce risk of macular degeneration and in the treatment of uveitis common cause of blindness. Photochemical are found in plants extracts, such as those from ginkgo balboa and billberry, it provides protection against oxidative stress in entire body as well as in the eyes. While buying read their labels carefully, check expiry date and seal on the bottle, read about serving size according to age .Avoid eye supplements containing dairy products, corn and wheat as filler especially when you are facing allergies and other intolerance problems. To make sure that you are choosing a well-known brand and must consult your eye doctor, nutritionists and health care physician. How to Make Solar Eclipse Viewing Glasses? 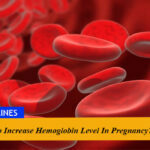 Moreover if you are pregnant or nursing or are taking blood thinners (anti-coagulants), speak to your doctor before using any type of nutritional supplements. Never exceed the dosage instruction mentioned on the bottle to ward off from toxicity or drug reaction although these supplements are non prescription items. Foods That Are Extremely Beneficial For Vision Protection. Best Foods For Vision Protection. Eye is the most sensitive organ of our body. So it needs more protection and attention. It is a fact that we learn 90 percent with our eyes in our life.